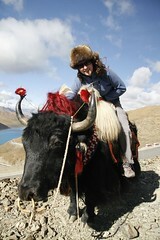 What can I say...Bianca on a Yak at 4900 meters at Khamba Pass. This is a gorgeous photo. Loving your blog guys - the map is a winner. I've been home only 6 months and want to go away again!